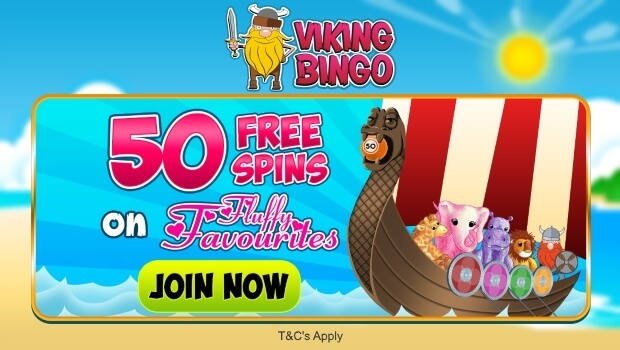 Rather than be the same as the majority of other online bingo sites when it comes down to welcome bonus offers, Viking Bingo has decided to be different and offer 50 free spins rather than a cash match bonus. So if you are a slot lover and not just a bingo player, then this is right up your street. 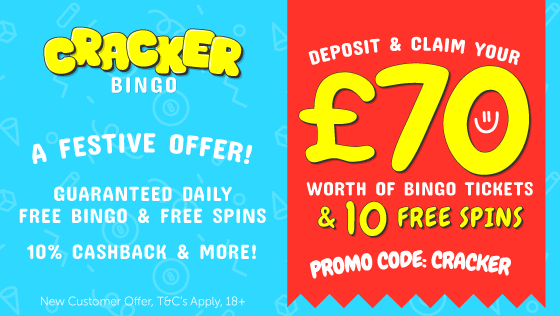 Just register as a new player and then go to the Viking Bingo Login and access your new account and deposit £10 or more. You will then be instantly credited with 50 free spins to use on the popular online slot Fluffy Favourites. The good news is that any winnings you then receive from those spins goes straight into your account and can be used immediately on Bingo and Slots. 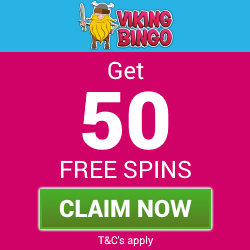 So if you fancy 50 Free Spins then join Viking Bingo today! To join Viking Bingo, just click on the link shown above or the claim button above or the blue coloured button below. Any of these options will take you to the Viking Bingo website. Once on their homepage, select the JOIN BUTTON which is in the top right-hand corner of the site. You will need to complete the online bingo registration form to open up a new account and you will need to enter details in all the sections including your banking details. You will now be ready to add funds to your account to be able to play online bingo. The minimum you are required to deposit is £10 to then make you eligible for the 50 free spins. Currently, the wagering requirement is set at 40 x your winnings from the free spins, however, this can be subject to change, so please check the terms of the offer first on the Viking Bingo website. So if you would like a Free Spins bonus rather than a cash match bonus, join Viking Bingo today, depsoit £10 and get your 50 free spins!